On this Theme Thursday Season Three webcast, Jim Collison, Gallup's Director of Talent Sourcing, and Maika Leibbrandt, Senior Workplace Consultant, talk about Self-Assurance with guest Sam Meek. Self-Assurance is similar to self-confidence. In the deepest part of you, you have faith in your strengths. You know that you are able — able to take risks, able to meet new challenges, able to stake claims and, most important, able to deliver. But Self-Assurance is more than just self-confidence. Blessed with the theme of Self-Assurance, you have confidence not only in your abilities but in your judgment. When you look at the world, you know that your perspective is unique and distinct. And because no one sees exactly what you see, you know that no one can make your decisions for you. No one can tell you what to think. They can guide. They can suggest. But you alone have the authority to form conclusions, make decisions and act. This authority, this final accountability for the living of your life, does not intimidate you. On the contrary, it feels natural to you. No matter what the situation, you seem to know what the right decision is. This theme lends you an aura of certainty. Unlike many, you are not easily swayed by someone else’s arguments, no matter how persuasive they may be. This Self-Assurance may be quiet or loud, depending on your other themes, but it is solid. It is strong. Like the keel of a ship, it withstands many different pressures and keeps you on your course. Self-Assurance is about having your own internal compass. It is being able to hear and trust your gut. Self-Assurance and self-confidence are not necessarily the same thing. They do have a lot in common, and there are a lot of similarities between confidence and assuredness. But when we talk about Self-Assurance it is about being able to find that confidence within. It is the understanding that whatever you are up against, you and your abilities are going to be one of the greatest resources in overcoming a challenge. This confidence comes from a trust in your own abilities, self-understanding and a trust in the work ethic you know you are going to bring to the table. As an individual Self-Assurance sounds like “I can do this,” whereas with a leader it sounds more like “We can do this.” It is that extension beyond your personal task list, to how you are directing others. It is an awareness of how previous lessons can affect future ventures. This can be beyond admitting failure. It is more being able to translate how the lessons you learned when things didn’t go how you thought they would have led you to the path you are taking for the future. Examine how you make decisions as a leader with Self-Assurance. It can be very easy for you to jump in and trust yourself as being the fix. However, you can invest and lend your Self-Assurance to others who can help you own pieces of it. This can free you up to jump into the high stake places that require the most persistence and independence. Find the best ways to share the certainty and the clarity that you feel. Think about the inspiration and motivation you can give to others. Position yourself in a place where you can be the first line of celebration to replay to your team what they’ve overcome and why they made the correct choices that they did. You are an agent of action with Self-Assurance. Ask yourself where you can lend your certainty through making things happen, or going with your intuition. The power and edge of Self-Assurance is your ability to trust that inner compass. Lean into this and think about how you can use this at its very best. Leaders with Self-Assurance can add to their trust building repertoire by being able to put their fear into words. Talk to others about how you attack things you’re afraid of. Self-Assurance in many cases can be very independent. You can be successful and happy alone, so for compassion think about who enhances your life, and how do you offer love to others? Think about how you are building those relationships with people who can make your life better? For stability think about establishing a really solid team, and help your followers see why you believe in them. What is your next ambitious goal, and how can you aim higher? For your own goals and your organization’s goals, think about making them big, and make sure to never let yourself off the hook too easily. This can diminish some of the fire you bring. You can build hope by also providing this to others. Help them stretch their goals beyond what they thought was possible, or logical, and into that place where their gut tells them they can do it. How do you feel about the Self-Assurance Theme in a leadership role? Share your thoughts and experiences on the Called to Coach Facebook page. Growing up in Sun Valley, Idaho, Sam enlisted in the Marine Corps in 2002. After the fall of the towers he following the yellow foot prints of both his great grandfather and grandfather into the Corps. Sam was awarded several commendations and merits across his 2 tours to Iraq and honorably discharged as a Sergeant of Marines. He began his civilian career with WR Platform Advisors, a hedge fund investment platform, where he supported the executive team as Vice President of Business Development. 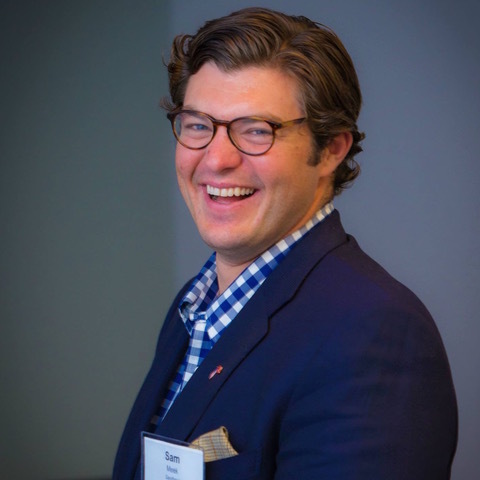 Sam developed several successful marketing strategies for the firm while playing a key role in operations and technology. Sam then turned his attention to building Sandboxx with his co-founders. As CEO, Sam oversees Sandboxx development, capital raising, strategy and team vision. Sam is an avid outdoors man and lives in Washington, DC with his wife Kristin. Sam's top 5 strengths are: WOO | Command | Self-Assurance | Ideation | Activator. Thank you for the image of the "keel of a ship" which conjurs up calmness. Self-Assurance is my number 1 theme and I continue to learn how best to bring it out so it is more a keel than a steamroller. People have often commented on my resilience which has been the rock I lean on even without knowing it. From a very young age, I had a little song I would repeat in my head when confronted with setbacks or gaffes: "I could've cried, I could've deid, but I survived" then I carry on. I think I devised that song in my head after watchign the film "The King & I" with the song: "Whenever I feel afraid". Those are memories of how I build my talent of Self-assurance into a Strength.